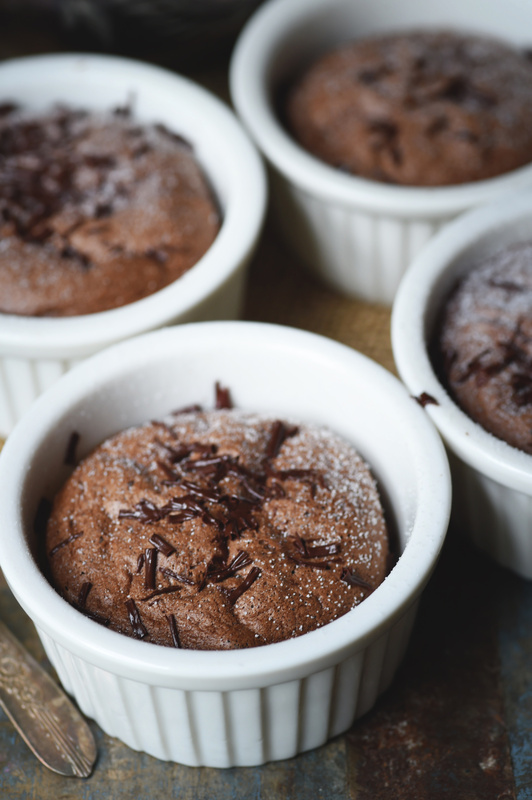 This Low-Carb Chocolate Soufflé Recipe makes dessert lovers drool. 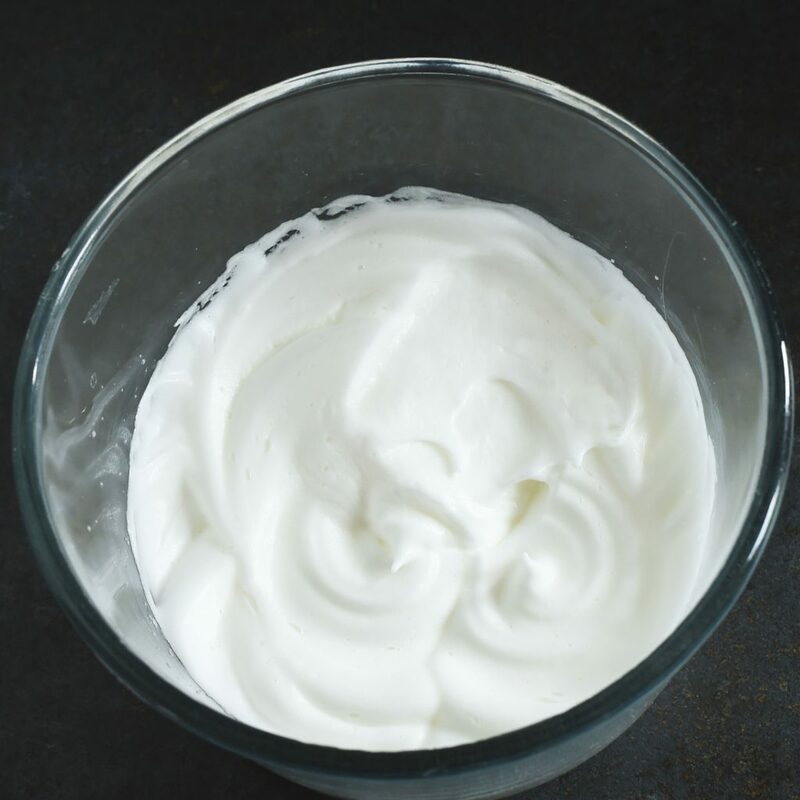 This heavenly dessert may be enjoyed by those on a low-carb, keto, gluten-free, grain-free, diabetic, dairy-free, or Paleo diet. Okay, I’m not usually one to brag, but I just can’t help it with this dessert. This is seriously the best chocolate soufflé I have ever had–that includes the sugared up variety. It’s light and airy, but rich in flavor. If you don’t over bake them, they even have a bit of pudding in the center. My mother-in-law described the flavor as a chocolate marshmallow, but the consistency is nothing like a marshmallow. It’s smooth and pleasing. Don’t worry about any weird ingredients! You can find everything you need at your local grocery store, but really, if you eat low-carb, you probably have the ingredients in your kitchen already. I am seriously a chocolate lover, but I rarely eat sweets anymore. Eating sugar-laden sweets is a two or three times a year kind of thing. I do confess that if I’m at a good restaurant and chocolate soufflé is on the menu, I’m often tempted. This year, on our anniversary, my husband took me to one of my favorite restaurants in Charlotte. I stayed on plan with my appetizer and main course, but when the dessert menu came out, my husband ordered the chocolate soufflé. I ordered coffee with cream. When they brought out my husband’s soufflé, they gave me an extra spoon, “just in case”. Normally the extra spoon doesn’t tempt me, but when chocolate soufflé is under my nose, well, my will power had a moment of weakness. So I took a bite–and was so disappointed. The soufflé lacked flavor and the consistency just wasn’t right. It was easy to stop at one spoonful! 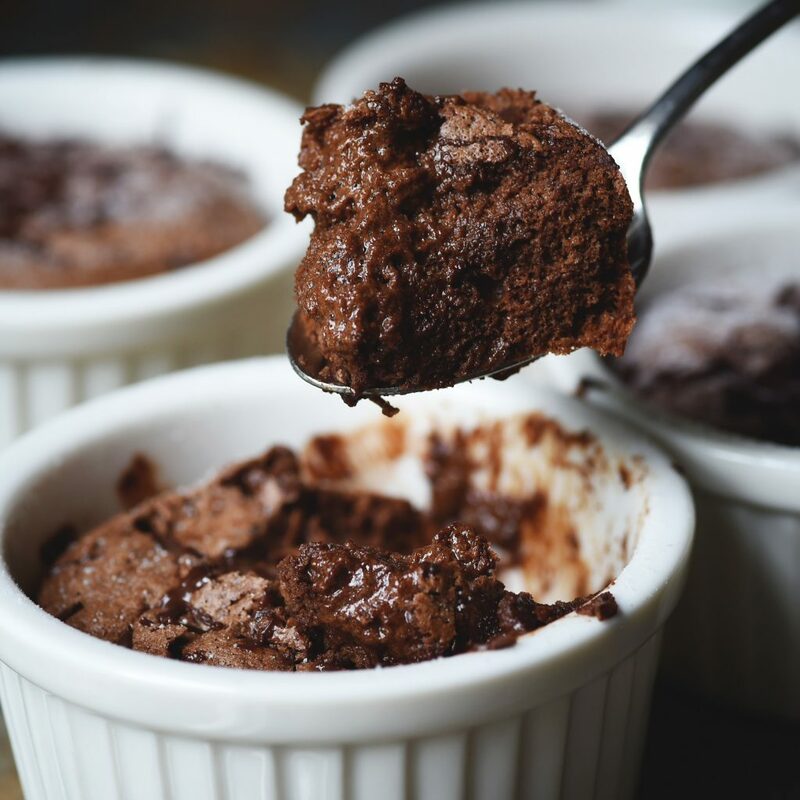 If you’re a chocolate lover, this soufflé will be everything you want it to be and, because it’s low-carb, you don’t have to worry about stopping at a spoonful. You can enjoy a whole mini soufflé and not feel one bit guilty! It’s funny how a day can change. I set out to develop a chocolate pudding recipe. Somehow, my inspiration to make chocolate pudding fell flat when I realized I didn’t have all of the ingredients I needed. I decided instead to make a recipe to use up my ever growing collection of eggs my chickens keep adding to. 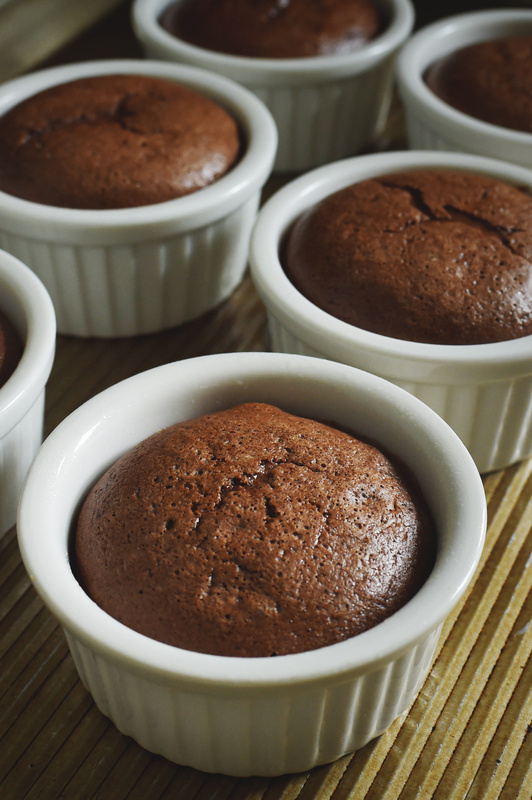 In the end, I decided to make mini chocolate soufflés. 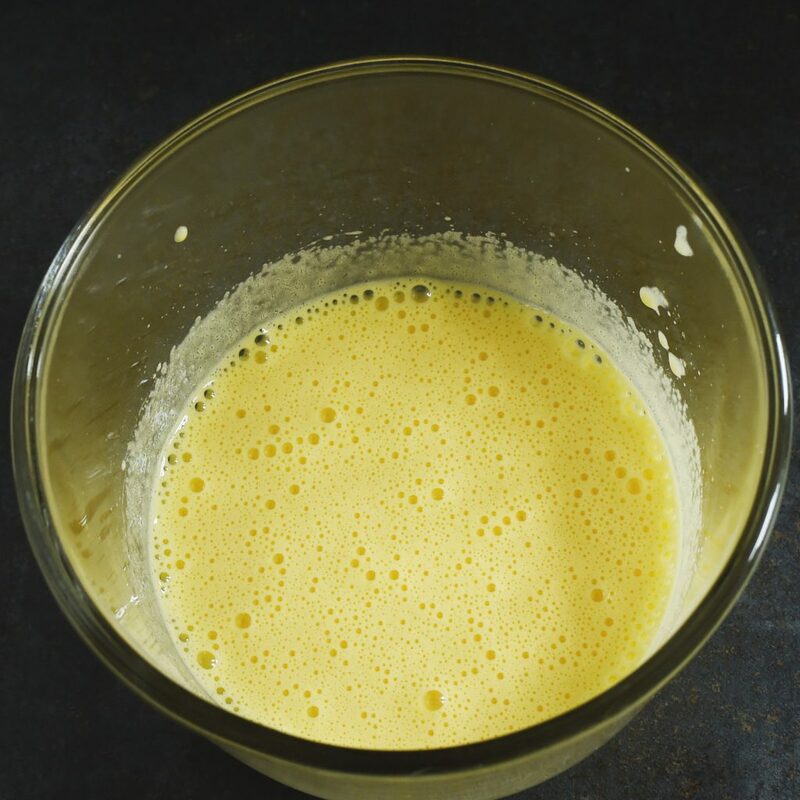 I adapted this recipe from a recipe in The Fresh Egg Cookbook, by Jennifer Trainer Thompson. I love this cookbook not only for its recipes (some are low-carb, many are not), but also for its stories about chickens and beautiful photographs of chickens as well as food. Yep, I love chickens! These soufflés are best eaten fresh from the oven. Of course, you’ll want to let them cool a few minutes so you don’t burn your tongue! If you happen to have leftovers, cover and refrigerate them. They must be reheated gently, do not microwave them. Instead, uncover them and put them in a 200º Fahrenheit oven for 15-20 minutes or just until slightly warm. If you prefer not to have leftovers, the recipe is easily cut in half to make three soufflés. This works great if you have a small family. 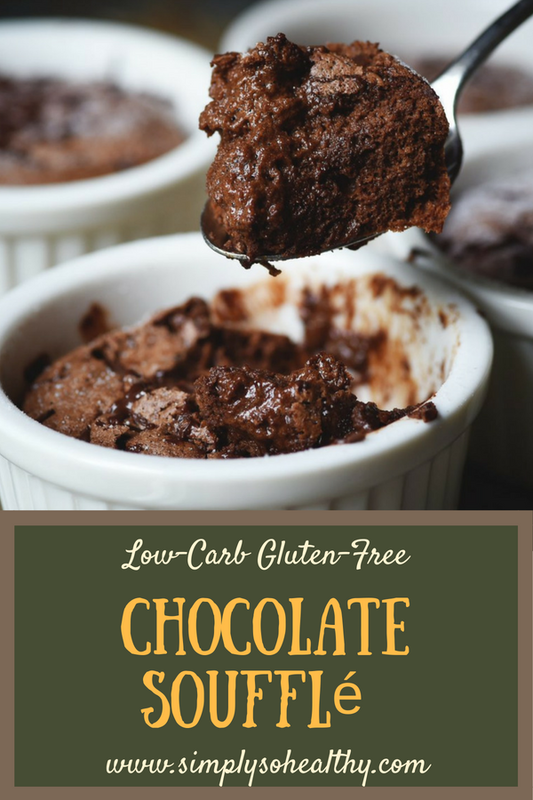 This Low-Carb Chocolate Soufflé Recipe may just become a favorite! 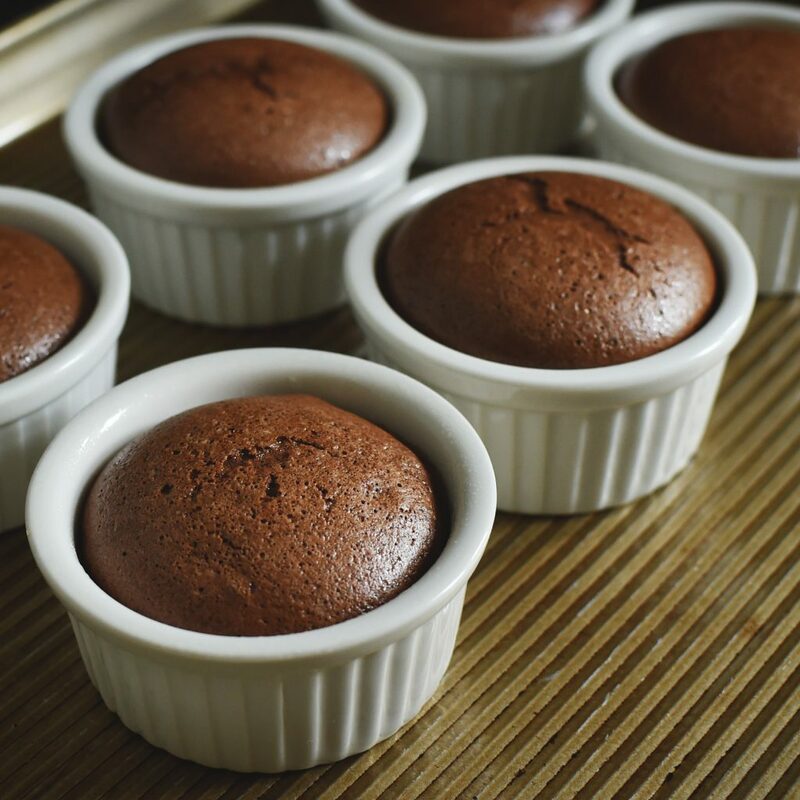 These soufflés makes a perfectly elegant dessert for company, but is easy enough, you’ll want to make them again and again. Enjoy! 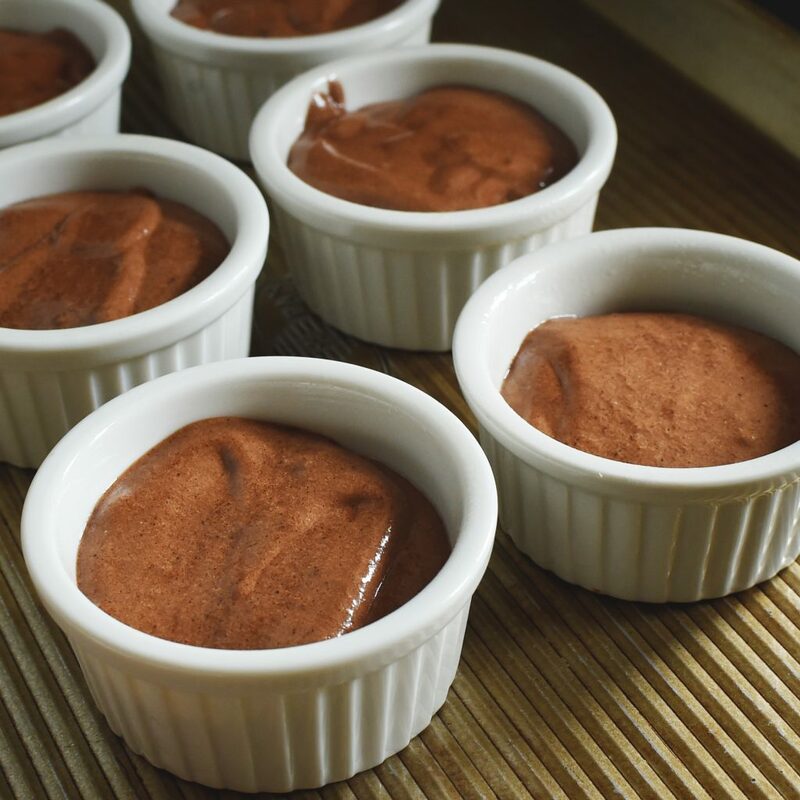 This Low-Carb Chocolate Soufflé Recipe makes dessert lovers drool. This dessert may be enjoyed by those on a low-carb, keto, gluten-free, grain-free, diabetic, dairy-free, or Paleo diet. Preheat oven to 350º Fahrenheit. Grease 6 6-ounce ramekins or other small oven proof dishes with coconut oil, butter, or other oil of choice. Set ramekins on a baking sheet. 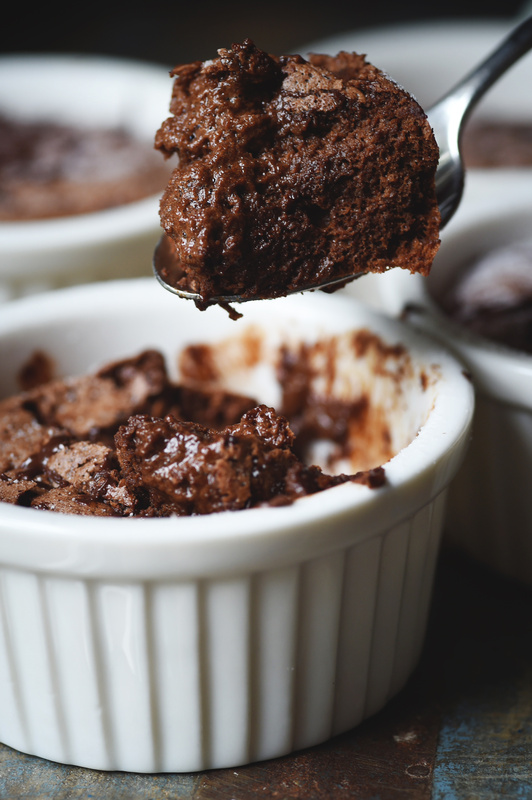 These look wonderful….chocolate souffles are one of my all time favorite desserts. Can’t wait to try these. BTW: rather than reheating them, you can freeze mini souffles like this and then take them out and bake them fresh as you want them. Just add one extra minute to the cooking time. 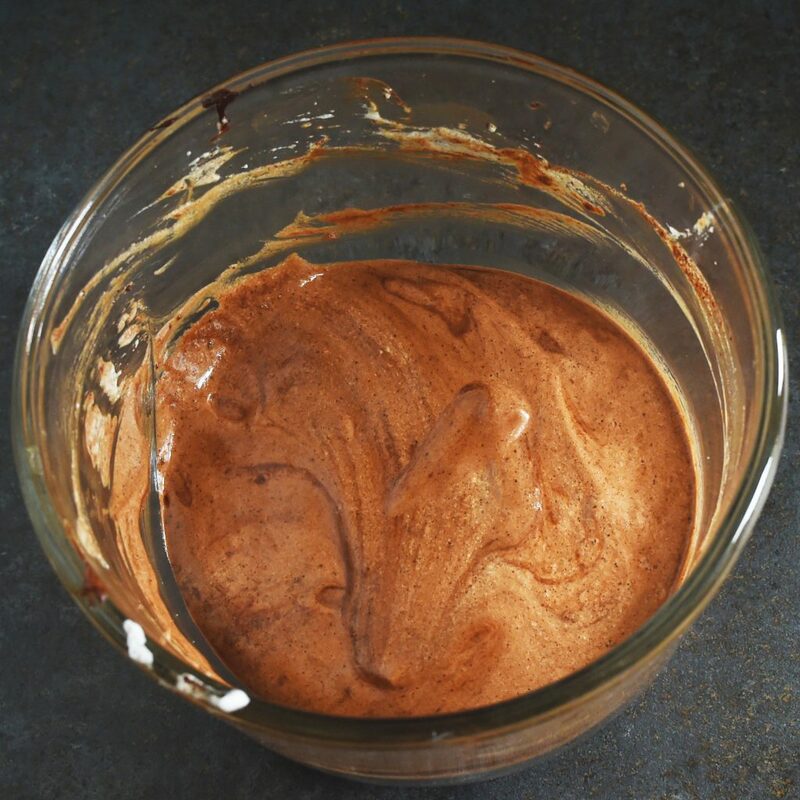 Where did you get the chocolate sprinkles (if they are low carb….but using so few it hardly matters). They look so nice on the top….really pretty. 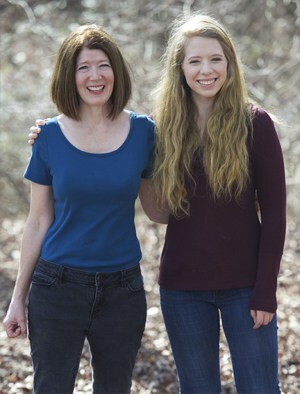 Thank you so much, Deborah! So when you talk about freezing them, do you mean freezing them before they are baked? I’ll have to try this! How awesome would it be to make them ahead and pop them in the oven during dinner! The chocolate sprinkled on top is just shavings from a dark chocolate candy bar. You can use a low-carb one if you want, but I just used a super dark one (88%). I use just snout to make it pretty. I do hope you try them. Do you let them thaw all the way or cook frozen? Just made this tonight. Looked good. Smelled good. But wasn’t impressed with the taste. I hate when my senses don’t align. 🙂 Added whipped cream to the top so give it a little flavor and that did the trick. Definitely something I’ll make again. I used Swerve instead of the sweetener you suggested. Maybe that was the issue. Also I cut the recipe in half. Thanks for the recipe! I suspect that it was the sweetener you used. Swerve is only half as sweet as Pyure, so you would need to use twice as much for the same sweetness. I also find that I notice a different flavor with Swerve. Annissa, Omg!!! I bought the sweetener your recipe calls for and it turned out amazing!! I had family over for dinner tonight and decided to make it for them. I was worried because I wouldn’t get to taste it before them….they were singing praises about it! Everyone loved it and ate it in 3 bites! Definitely will be making it each time they come over! Thank you!! Yay! Glad your family enjoyed it! Sweetener choice really does make a difference! It’s a great choice for a dinner party. 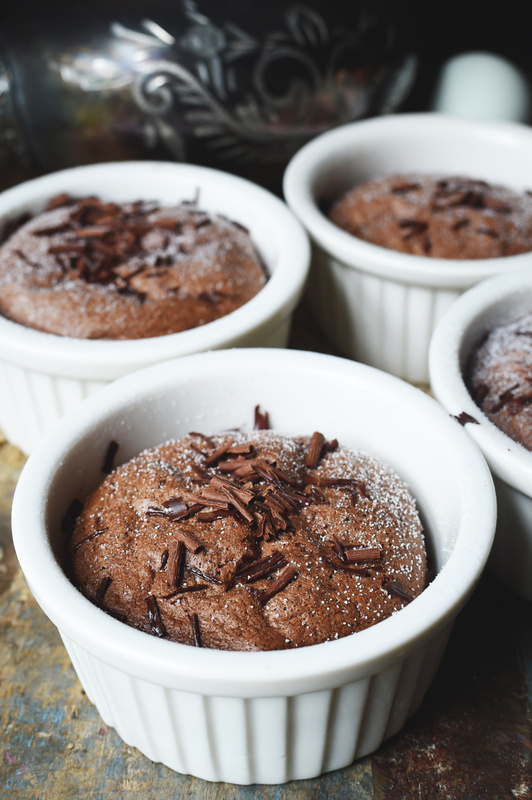 I’m always up for a chocolate soufflé…especially one that is healthy like this! Just pinned…great recipe! I’ve never tried a Soufflé recipe, but this looks so good! I definitely try this! Thanks, Shanika! They are really easy to make. This recipe literally made my mouth drop! My goodness, that looks delicious! My blog is all about making good tasting food work for low-carb diets! This looks like a great healthy option for a healthy dinner party dessert. It looks amazing. It would be perfect for a dinner party! These look too dangerous to be be low carb. That’s my favorite type of dessert!!!! 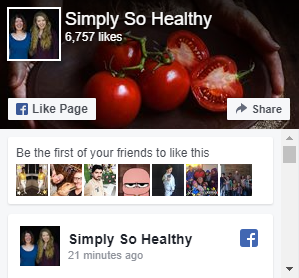 Thank you for this recipe with a healthier spin, I can’t wait to try! Hard to believe this is low-carb. It looks so dang good! This looks so dreamy! Chocolate heaven for sure! Totally my kind of dessert! These look fantastic! I love that they’re low carb, too! I have never made a souffle, but this one looks amazing! I am a huge chocolate fan! How do you think that Truvia would work as a sweetener? That is what use regugarly. Yes it would, but you will need to double the amount to get the same sweetness level. How much stevia should I use instead of pyure because they don’t sell pyure in my country. I think about 1/2 teaspoon will get you to the correct sweetness level. Stevia doesn’t provide the bulk that some other sweeteners do, so your results may be a bit different. I haven’t tested this recipe using stevia.